Nothing tastes better than taking that first bite into a homemade cookie. Grandma Isa is an incredible 90-year old entrepreneur that lives in Collingwood, but you may know her better as “The shortbread Lady” due to here incredible home-baked goodies! 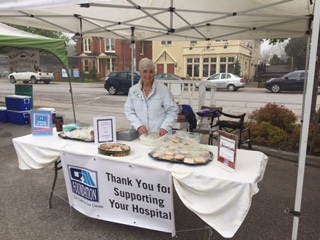 A fixture in the community, and determined to give back to the town she loves, Isa has been selling her shortbread at the local Collingwood farmers market with all proceeds going to the Collingwood General & Marine Hospital. How’s business? Well, during her first week alone she managed to raise over $1500 in sales from her delicious cookies. The trick, Isa uses all her own ingredients and a special recipe to get that perfect shortbread. Isa genuinely loves to give back to her community and is recognized all over town for her contributions and delicious cookies. 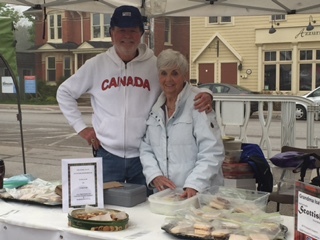 Visit Grandma Isa Saturday’s at the Collingwood farmers market, say hi and enjoy some world-class shortbread!